An overview of the Women’s Doubles qualifiers at the HSBC BWF World Tour Finals 2018. The Olympic champions (featured image) were in a neck-and-neck race with compatriots Yuki Fukushima/Sayaka Hirota, and only made the cut at the final qualifying event. After facing the heat from their younger compatriots over the last year, they were able to hold their own this year, with notable wins at the Malaysia Open, the Victor China Open, and the Korea Open – where they beat their three closest competitors on successive days. Were in seven finals overall, of which they won four. Had a stupendous season, considering that they were ranked No.32 at the beginning of last year. 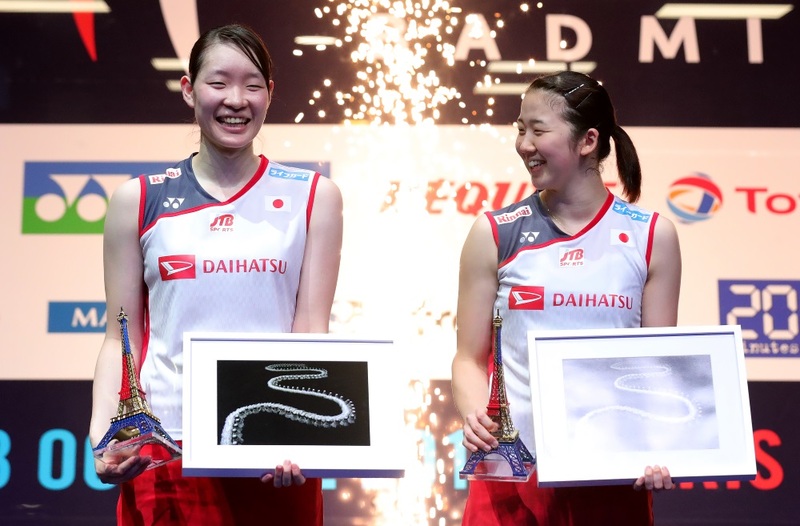 After falling short to compatriots Fukushima/Hirota in the Indonesia Open final, Matsumoto/Nagahara turned it around in a last-ditch effort at the World Championships, overcoming two match points to claim the title in their first attempt. Carried their form into the two China Opens and the French Open, helping them shoot up to No.3 in the world rankings. The Indonesians consolidated their gains from 2017, with a solid performance through the season. Won the India Open and the Thailand Open; in the second half of the year reached seven semi-finals in eight tournaments, including the World Championships and the Asian Games at home. Starting the year on a perfect note, winning the Princess Sirivannavari Thailand Masters at home. A runner-up place at the India Open followed. 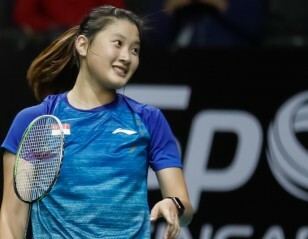 The Thais had some encouraging performances through the year, reaching semi-finals at the Thailand Open and the Singapore Open, besides eight quarterfinal finishes. 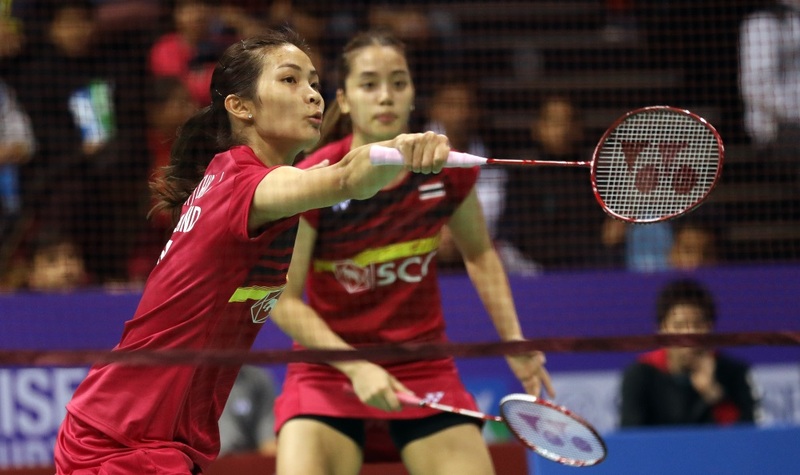 Particularly memorable for them was their role in helping Thailand to the Uber Cup final on home turf. The Koreans had a rocky year due to injury troubles, but salvaged it with the season closing. Forced to retire early at a clutch of tournaments, Lee and Shin finally got their act together with three tournaments to go. They made the last-four in France, won the Fuzhou China Open, and fell in the title clash in Hong Kong. Were the surprise package of the year. The Bulgarians started well, making the Swiss Open final early in the year and winning the European Championships. Impressively, they held form as the season progressed, beating a number of top pairs on their way to the semi-finals of the Victor China Open and the final of the French Open. They were the only European pair to feature in the business end of major events, after Danish pair Christinna Pedersen/Kamilla Rytter Juhl won the All England. Last year’s world champions didn’t have a particularly bright season, but they had their moments. 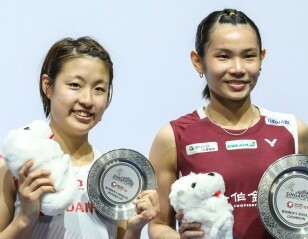 The high point was winning the Asian Games gold; they also reached the finals of the Malaysia Masters, the Malaysia Open and the Japan Open. Still, they look a far way off from when they were a bustling, energetic pair winning the big titles. For a pair that only got together late last year, their progress has been quick. They started off with a semifinal at the India Open, made a few second rounds, and then shot into the last-four in Japan. 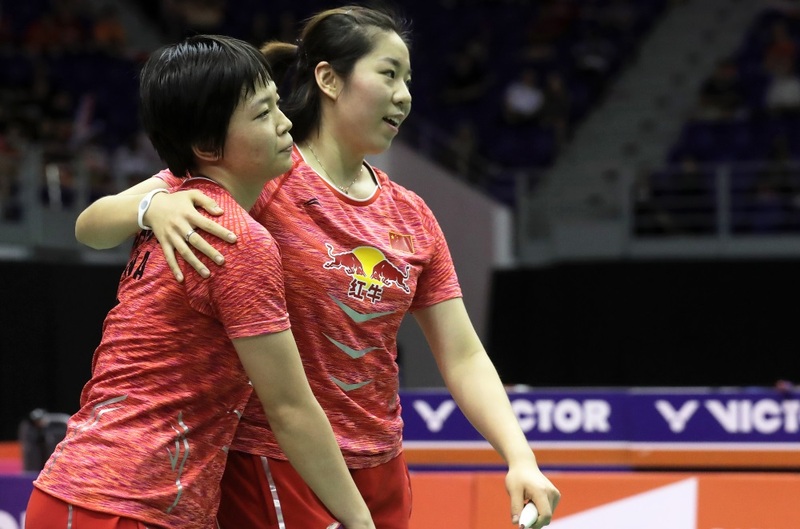 With both Du and Li having Mixed Doubles responsibilities, it will be interesting to see where the partnership is headed and if they can hold their own against the bigger names in Women’s Doubles consistently enough.